Avenue Plaza Hotel once again made a mark for Bicol Hospitality and Tourism Industry. 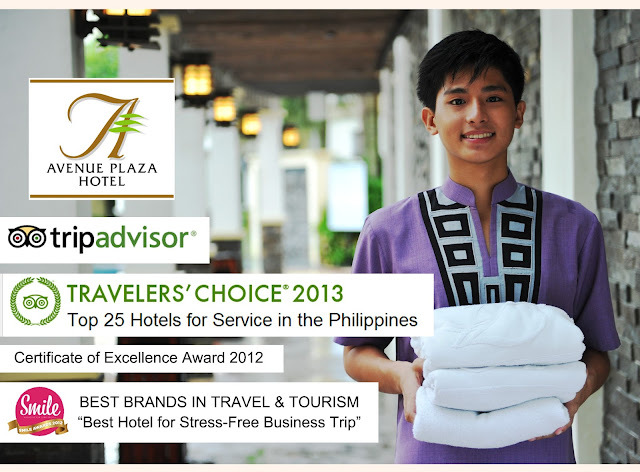 Naga City, Philippines – 19 January, 2013 – THE AVENUE PLAZA HOTEL announced today that it was awarded as one of the winners in the Top 25 Hotel Service in the Philippine category for TripAdvisors Travelers’ Choice® Awards 2013. Now in its eleventh year, the annual TripAdvisor Travelers’ Choice awards honor the world’s best hotels, earning their distinction from those who know them best – real travelers. Unlike any other hotel honors, TripAdvisor Travelers’ Choice winners are based on millions of valuable reviews and opinions from travelers around the world. 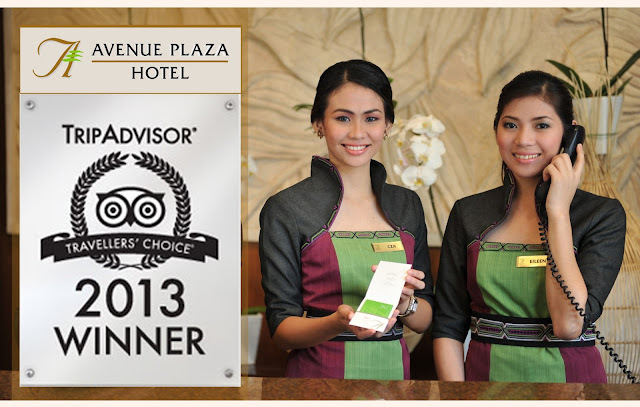 Avenue Plaza Hotel has been constantly awarded with TripAdvisor® Certificate of Excellence award. This accolade, which honours hospitality excellence, is given only to establishments that consistently achieve outstanding traveller reviews on TripAdvisor. Approximately 10 percent of accommodations listed on TripAdvisor receive this prestigious award. 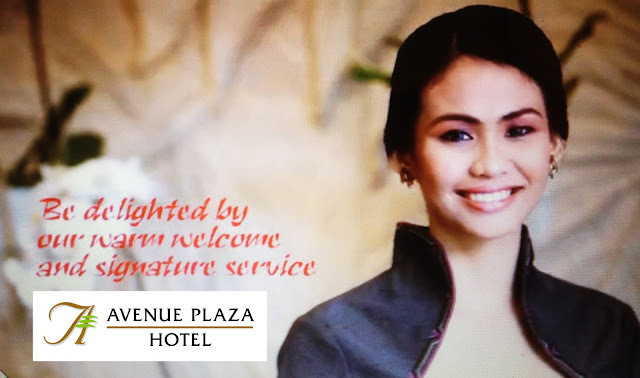 At Avenue Plaza Hotel, guests are not just welcome with warm Filipino hospitality but also treated like a family. This signature personalized service that makes you feel very comfortable was also experienced by a long staying guest from USA, Mr.Richard who wrote in the comment card that “the staff were so helpful, accommodating and friendly. Coming back to the hotel each day was like coming home.” Other guests also left notes expressing how they’ll miss the Avenue Plaza because of the fond memories during their stay. Highly satisfied and delighted, guests also refer this first class accommodation to their family, friends and business colleagues. “Five years in operations, I can say that Avenue Plaza is on the right tract.” said Ms. Apple Allison Perez, Brand Manager, in realizing the hotel’s vision of being known for its brand of unique service culture and mission of providing a fine tradition of service responsive to global requirements for luxury, lifestyle and individuality of the discerning guests. “We are committed in making the Avenue Plaza, a homegrown Bicolano brand, to be internationally recognized. 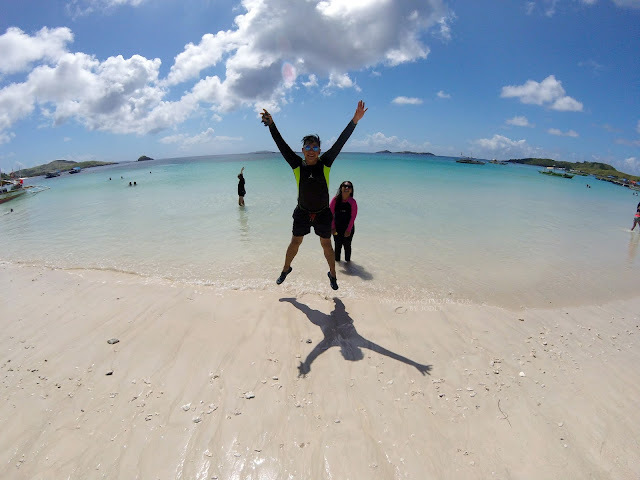 By sustaining an engaging relationship with our clients through our digital marketing efforts, we are able to connect with them in different social media platforms like TripAdvisor and Facebook. By doing this, we can provide assistance and extend our services to them even before or after they stay at the Avenue,” Ms. Perez added. In October 2012, Avenue Plaza Hotel also bested other hotels that mean business. With 61.5% vote from the online poll conducted to traveler readers by Cebu Pacific’s Smile Magazine, Avenue Plaza Hotel won the Smile Award 2012 for BEST HOTEL FOR A STRESS-FREE BUSINESS TRIP category. The award cited “Avenue Plaza’s modern facilities, clean rooms, airport shuttle services, location and outstanding customer service have pleased guests from both the Philippines and abroad”. 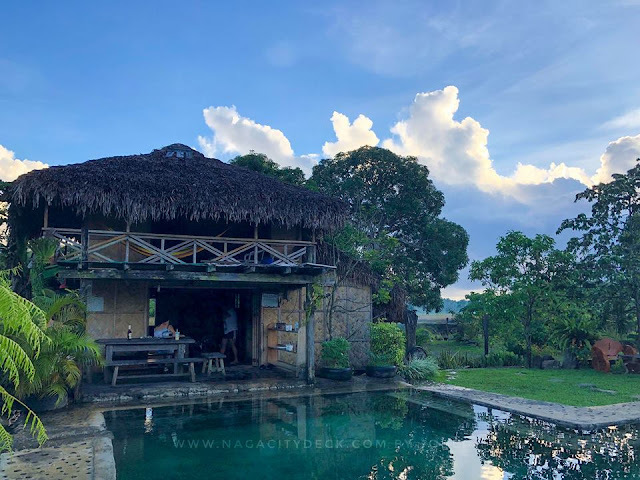 So next time your business or your much needed holiday takes you to Naga City, you already know where to stay. For promo updates and inquiries, visit the Avenue Plaza Hotel Facebook Page or log on to www.theavenueplazahotel.com. You may also call (Manila Line) 250 8199 and (local line) 473 9999. The Avenue Plaza Hotel's accommodation in Naga City, Camarines Sur, Philippines brings you right in the heart of the city. 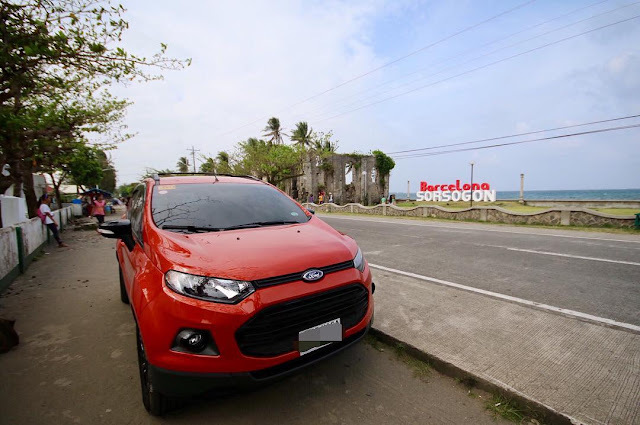 It is located along Magsaysay Avenue near to entertainment, shopping, dining centers, as well as historical attractions. From the boutique hotel, guests will easily access key places of interest, such as Penafrancia Shrine, Immaculate Concepcion Church, Central Bus Terminal, and Naga City Centro. Each room at the hotel comes with air-conditioning, high-speed Internet connection, coffee/tea maker, private toilet and bath, shower, safe, and baby cot/crib on request. Guests will also enjoy a mini-bar, posturepedic bed, and plasma TV with cable. Further, the boutique hotel also has facilities and services for guests' convenience. It has a ballroom, cafe, business center, conference room, restaurant, 2-level infinity pool, and lifestyle center. Airport transfer, car rental, city transfer, currency exchange, and massage service are also available. The boutique hotel offers a convention center that can seat up to 800 people and an events tent that can carry up to 1000 people, as well. It is a pleasure for hotel owners that their management and services was liked by all their customers and they gave good reviews. Congratulation !!! Wow. Congratulations to Avenue Plaza hotel. Congratulations to Avenue Plaza Hotel. Seems that you have a great service.